대상지는 광역교통망과 녹지 인프라가 풍부하고 지식기반 제조업의 핵심거점에 자리잡고 있어 입지적 장점이 뛰어난 대지이다. 본 계획은 분양과 임대, 두 단지의 상생과 조화를 모색하여 최상의 단지로 설계하였다. 분양 단지인 A-5블럭은 ‘빛나는 삶의 배려가 있는 감동의 단지’를 주제로 건물을 최소로 계획해 시야를 확보하였다. 또한 모든 세대를 남향으로 배치하고 무봉산과 근린공원 쪽으로 시야를 확보하여 모든 세대에서 녹지를 볼 수 있도록 계획했다. 또, 기존의 설계안보다 규모가 150% 이상 확장된 중앙광장을 계획하였다. 임대단지인 A-6블럭은 ‘새롭게 만나는 삶이 있는 감탄의 단지’를 주제로 임대주택의 새로운 패러다임을 제시하였다. 모든 세대는 맞통풍이 가능하도록 계획되었고 세대 별 프라이버시를 중시하는 평면을 계획했다. 기존 설계 안에 비해 3배 큰 규모의 대형 중앙광장을 조성하였으며, 직 출입이 가능한 주차장을 계획하여 주민들이 보다 편리하게 생활할 수 있도록 계획하였다. 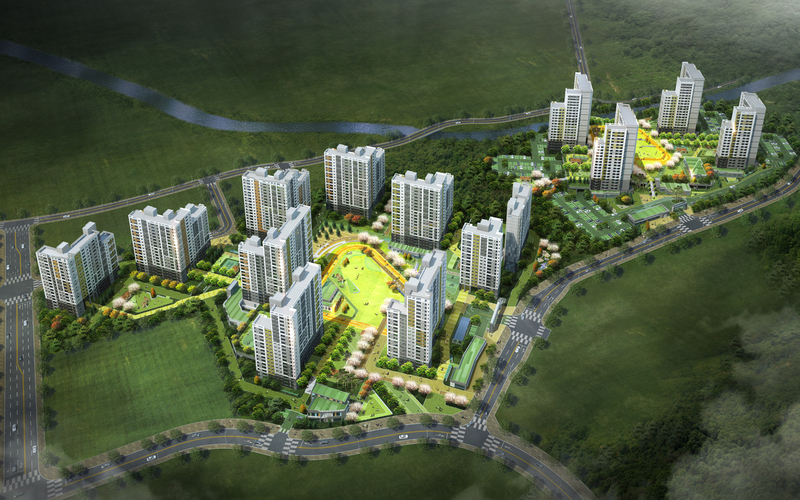 The target land has advantages in terms of location as it lies in the center of the knowledge-based manufacturing industry and has access to a broad traffic network as well as a wealth of green land infrastructure. This plan seeks the highest quality complex in terms of the co-existence and harmony of the two complexes as well as sales and lease. 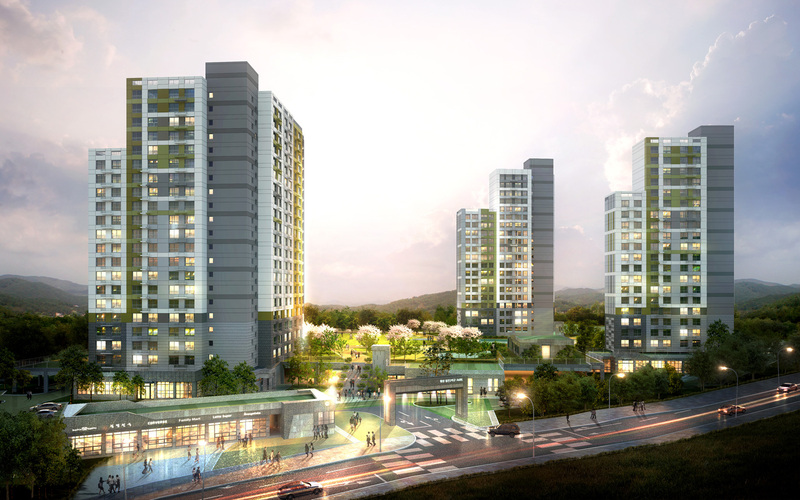 A-5 block features an open view around the building area with the theme, ‘An impressive complex with thoughtful consideration of the living environment.’ With all units facing south, the building has an open view toward Mubong Mountain and a neighborhood park so that every unit can see green land. The central plaza is 150% larger than in the original plan. A-6 block meanwhile presents a new paradigm for rental housing with the theme, ‘A complex of admiration with fresh encounters in life.’ Cross ventilation is planned for every unit, and the plane planning is to respect privacy. The large-scale central square is 3 times larger than in the original plan. The parking space that residents can directly access makes life more convenient.